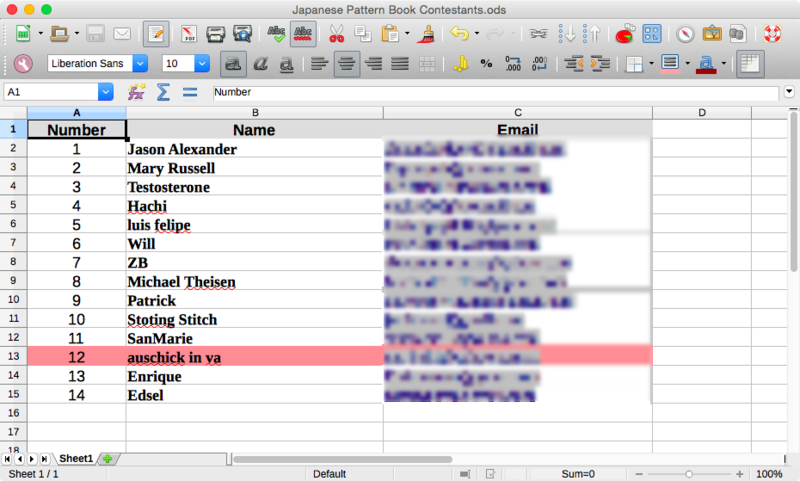 The book is now on its way to Auschick – I hope her husband enjoys the new lounge pants! I really like the lounge/leisure pants featured in the book, so I might make a pair at some point too. Yesterday was the Bay Area Sewists Meetup in Berkeley, CA. The theme of this meetup was a Pattern Swap, followed by a presentation and discussion about Japanese sewing pattern books. 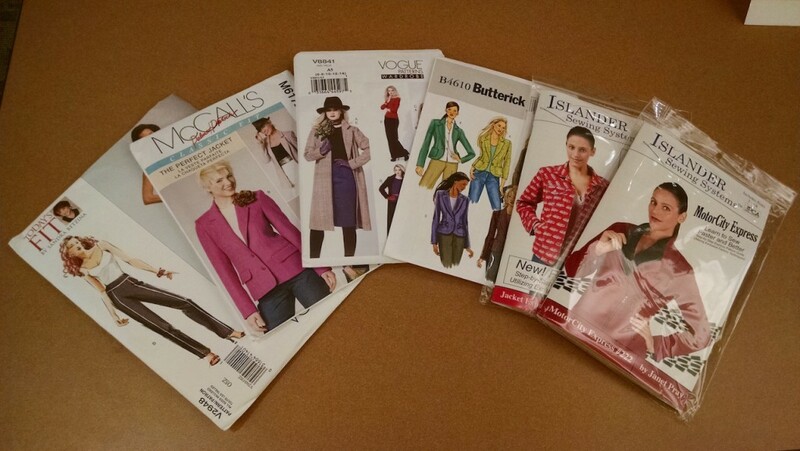 I had a small collection of women’s patterns that I got from buying Craftsy classes; they’re the patterns you’re supposed to work with in each course. I wanted them to find more appreciative homes, because it is extremely unlikely I’ll ever make them. 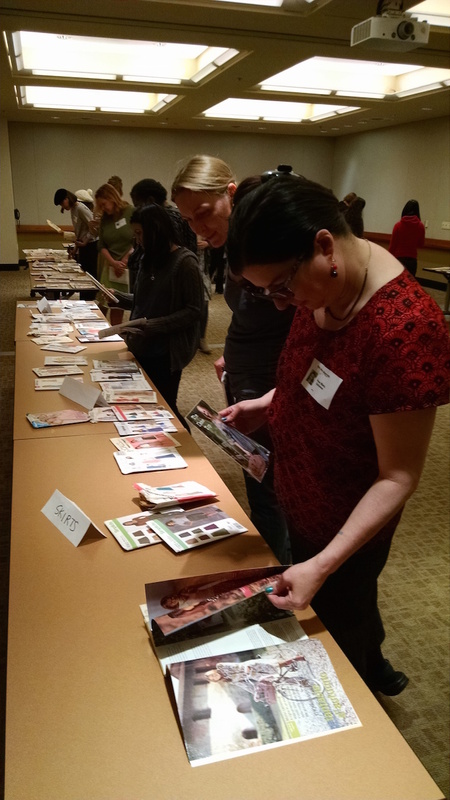 There were several tables at the swap, sorting the patterns into categories – skirts, dresses, tops and so on. I forgot to take a photo of the “menswear” table, but it doesn’t matter much since I grabbed nearly everything on it. It was the only table I cared about! I hung around the Menswear table while all the women milled about. Each time the horn sounded for the next round of selections, I grabbed my next most favorite item from the table. When “Free selection” began, I just grabbed what was left on the table and kept it for myself! 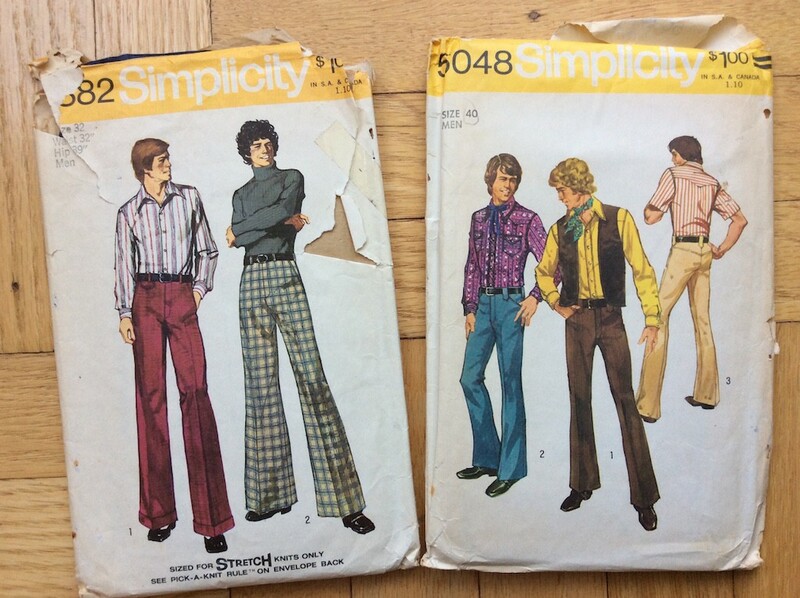 There were several ’70s mens patterns. These two from Simplicity were near the top of my “want” list. Bell-bottom knit pants? Sign me up! Simplicity 5048 is a shirt/vest/pant pattern combo I could see myself making. McCall’s 3443 is a blazer/slacks combo, again intended for knit fabrics. 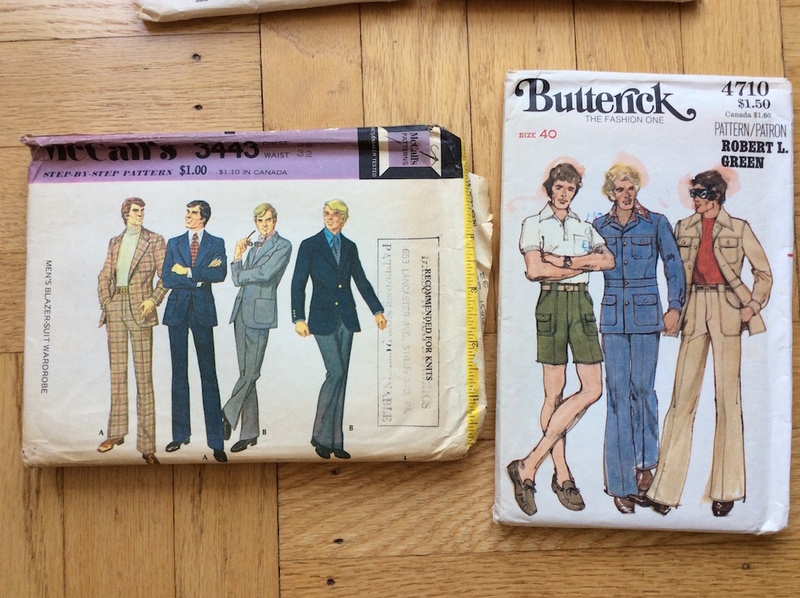 Butterick 4710 is a jacket/pants/shorts combo. The jacket in particular could be made up in modern way, if you narrow the collar. 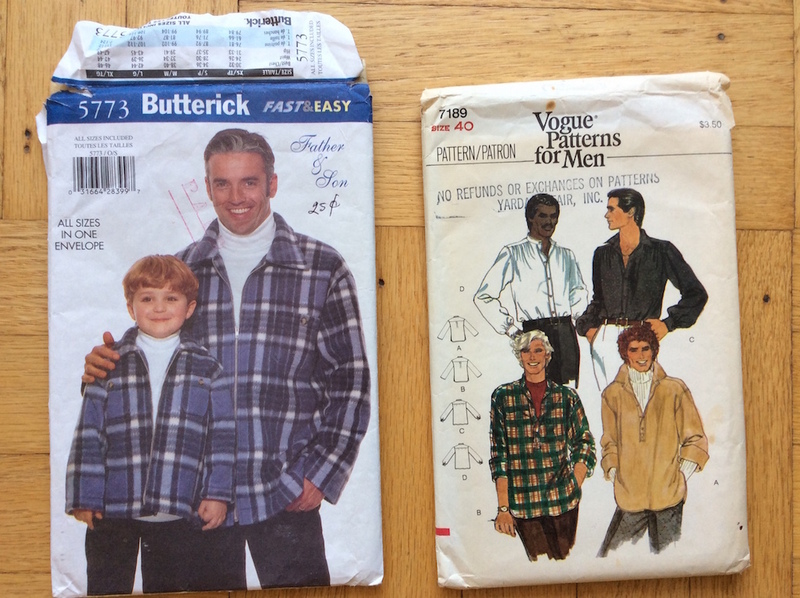 I also got an oversized, shapeless, styleless “Fast&Easy” fleece jacket pattern, along with a Vogue shirt pattern with styles I wouldn’t be caught dead wearing. I chose to take the “Fast&Easy” pattern rather than toss it in the trash. 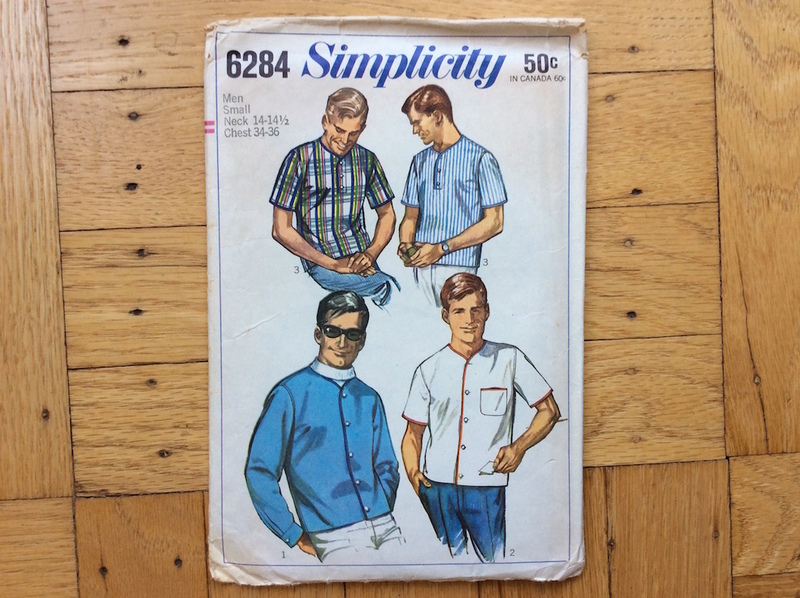 Together with my birthday grab bag, I now have a credible vintage menswear pattern collection. I typically don’t update the blog so often, so don’t miss yesterday’s update on Vogue Pants Fitting. And I’ll have even more to say on that subject soon. Thanks so much! I’m looking forward to delving into menswear! You got some great patterns! 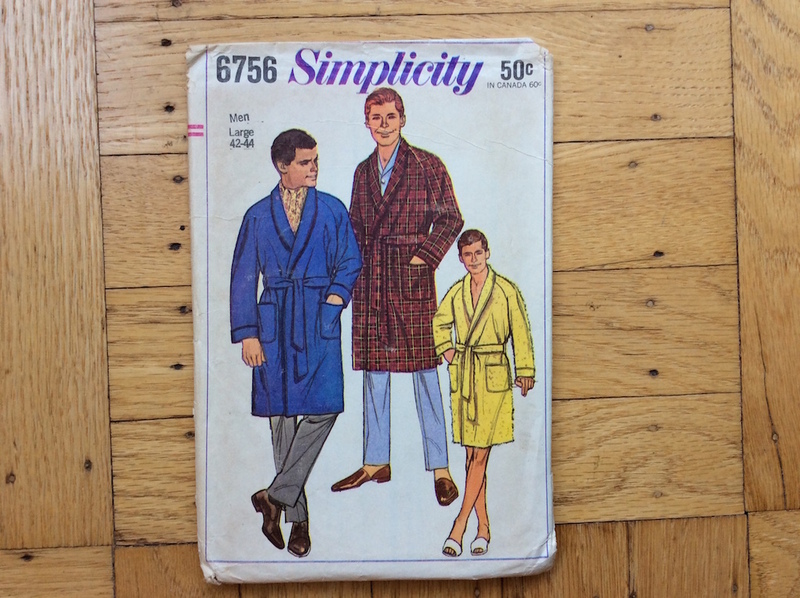 The illustrations on the Simplicity patterns give me a chuckle. 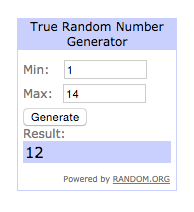 I look forward to seeing what you make!